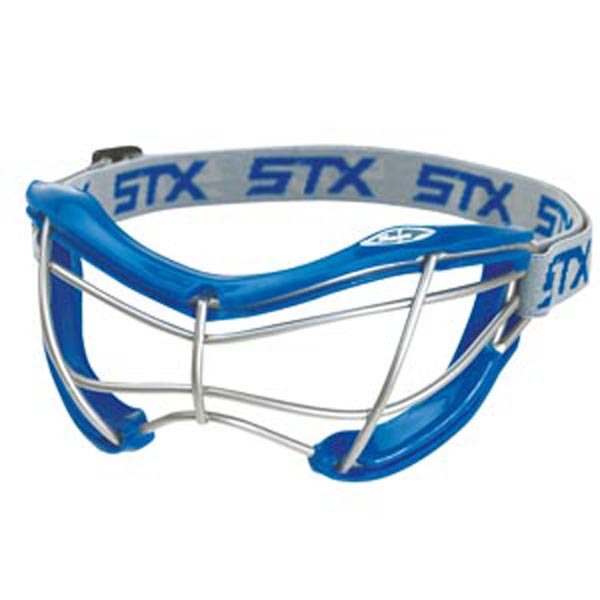 Equipment is different for boys and girls lacrosse. Please see the appropriate section below. Please note, at this time, we are pushing to have girls teams but may have to integrate girls with the boys if there aren't enough girls for the program. In this case, the boys equipment will be used. Boys lacrosse has limited contact and checking is allowed at and above the 13U level. The equipment below is required for participation in boys lacrosse. Helmets worn by all US Lacrosse players must meet NOCSAE standards and certifications. Please be aware of your team helmet colors as players participating on our travel teams are required to wear matching helmets. Helmet stickers may be provided by your club. If you already have a different color helmet, you may list it for sale in the exchange section of our website. Rec league player helmets must meet the same NOCSAE standards but the color of the helmet will not be enforced. Sioux Falls Lacrosse and Huron Lacrosse Club will wear Navy Blue Helmets with Black Face Mask and Black Chin Strap as shown below. Helmet stickers may be provided by your club. Sticks used in boys lacrosse are different from sticks used in girls lacrosse and have different rules that apply. Please review this guide that explains the differences to make sure you purchase the correct stick. If there are not enough girls to form a girls lacrosse team, they will play with the boys. Please consider this when purchasing equipment as it may be a good idea to wait and see which equipment to buy. Sticks used in girls lacrosse are different from sticks used in boys lacrosse and have different rules that apply. Please review this guide that explains the differences to make sure you purchase the correct stick. Mouth Guard - Check with your dentist as some offer free mouth guards that fit the best! Goalie Equipment is the same for boys and girls lacrosse and will be provided by Sioux Falls Lacrosse. If your player prefers his or her own set of equipment, here is what they will need.